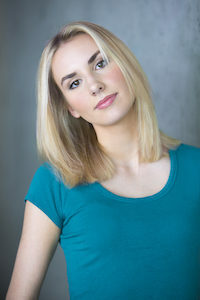 My name is Abigail and I have been performing in local and school productions for acting since I was about seven years old. I’ve always loved working with children, and I’ve always loved Disney movies as well. My favorite characters are Cinderella, Elsa and Ariel. Ever since I was younger, I’ve enjoyed dressing up as long as I can remember. Disney’s always held a very special place in my heart I love it when I’m working as a princess and I can make magic happen for the child’s special day. I’m currently a college sophomore and am pursuing a degree in Public Relations and Media Studies major. A princess party performer will make your birthday party a magical memory that will last a lifetime. Your child probably wants their dreams to come true, and we can help you to make that happen! We offer a variety of Birthday Party Characters to choose from and a variety of Birthday Party Packages and Themes. To book Abby on your Atlanta Princess Party and surrounding areas call 678-820-0010 ext 1. Or fill out our Inquiry Form to check availability.